When it’s time to install a new furnace in your home, we know you have questions, and we want to make the process as easy as possible for you. 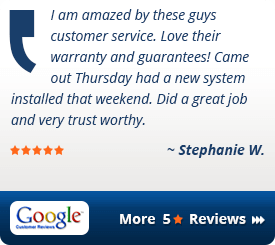 Question #1: How Do I know Which Furnace installation Company I Can Trust? Our Solution: We give you a 100% System Performance Guarantee, AND we back every furnace installation we do for our customers with both a 10-Year Parts Warranty and a 10-Year Labor Warranty as well. Question #2: Which Furnace Brand Should I Install? Our Solution: We carry almost all the well-known brands, and our installation technicians specialize in the top furnace brands. Question #3: How Do I Know I’m Getting A Fair Price To Install My New Furnace? Our Solution: Our Apples-To-Apples Best Value Guarantee means that if you find a lower price on an apples-to-apples furnace installation, we will match the price - plus $100. 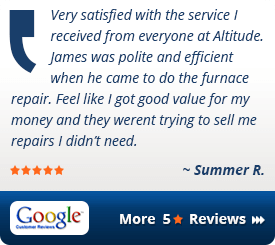 Or click here to request your Free furnace installation estimate. 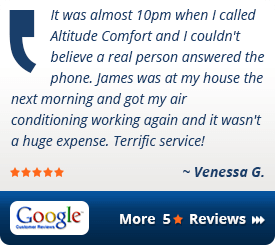 If it’s time to install a new furnace in your home, you can rely on us to provide you with a stressfree experience. 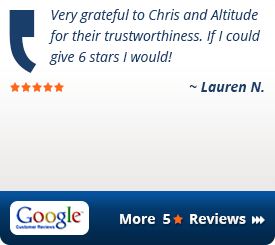 Our team has earned a reputation as the best furnace installation company in Denver, and you can trust us to take great care of you and your family. We’ll take the time to answer all your questions, and provide you with all the information you need to make the best decision when it comes to furnace repair for your home.